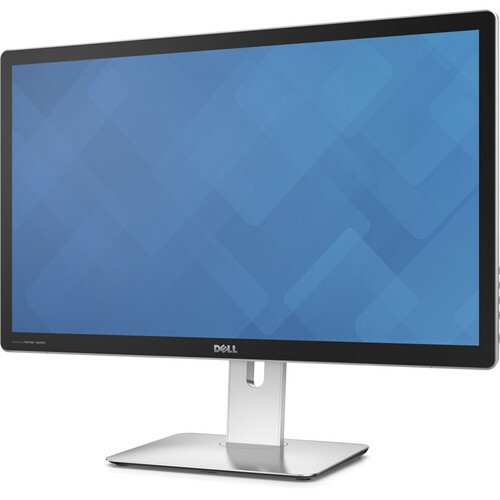 The world’s first 5K monitor has hit the shelves – the Dell UP2715K! What is the Dell UP2715K? Excited about that 4K monitor you just got? Well, it’s already obsolete! 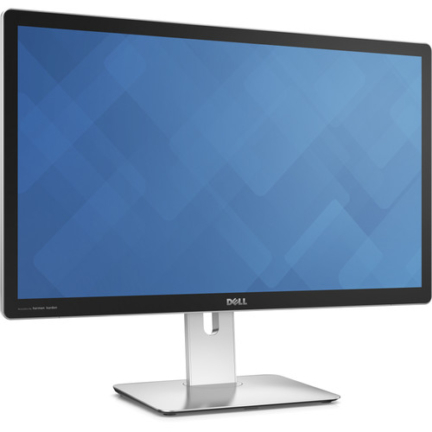 Introducing the Dell UP2715K 5K monitor! The UP2715K 27″ Monitor from Dell features an Ultra HD 5K resolution that offers 70% more pixels than 4K monitors! It has seven, yes, SEVEN times the resolution of 1080P monitors. To support the 5120 x 2880 resolution, the UP2715K connects to your system via two DisplayPort 1.2 cables. When the monitor is connected to one DisplayPort, the maximum resolution it can support is 4K UHD (3840 x 2160). In addition, this monitor is equipped with a mini-DisplayPort that can support up to 4K resolution. The 5K resolution (commonly known as 5K3K) provides you sharp detail when viewing 5K media and offers extra on-screen workspace. This extra space allows you to view more cells while working in spreadsheets, viewing two web pages side-by-side, and more. See what others are saying about the Dell UP2715K 5K Monitor! This monitor is built with an IPS panel that offers better color reproduction of the 1.074 billion colors as well as wider viewing angles when compared to TN panels. With 178° wide viewing angles that eliminate color shifts, IPS monitors allow you to see the same clear images from the far left or right, as you would see from the center. This monitor also features 8,000,000:1 dynamic contrast ratio, 8 ms response time, 218 ppi, and a 350 cd/m² brightness rating. Furthermore, this IPS monitor has been factory tuned for 99% Adobe RGB that accurately reproduces colors for reds, blues, and more. This 5K panel can be used as an awesome gaming monitor for all the latest PC games like Battlefield 4, Call of Duty Advanced Warfare, Dying Light, Dragon Age Inquisition, Far Cry 4, Assassin’s Creed Unity and so on. The Dell UP2715K delivers PremierColor technologies to provide accurate colors and true-to-life picture quality when viewing photos and videos. To maintain its color accuracy, this monitor comes with a 12-bit user-accessible 3D look-up table and software for adjusting the color settings when used with an optional colorimeter. Optical bonding and an anti-reflective 3H coating has been applied to the monitor for eliminating the reflection from the LCD panel and protective glass layer that helps improve clarity, vividness, and contrast. 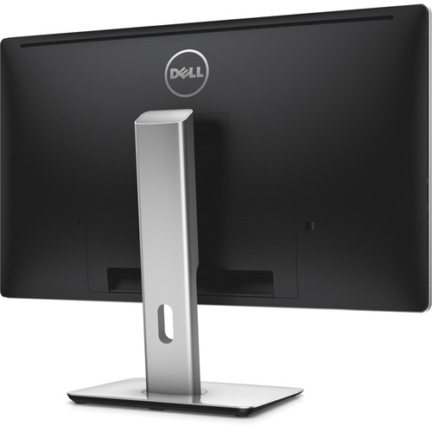 Dell has built this monitor with an edge-to-edge glass design that has an anti-smudge coating for easily cleaning away fingerprints. To complete the visual multimedia experience, this display is equipped with two down-firing 16-watt Harman Kardon speakers for immersing you with sounds when watching movies. 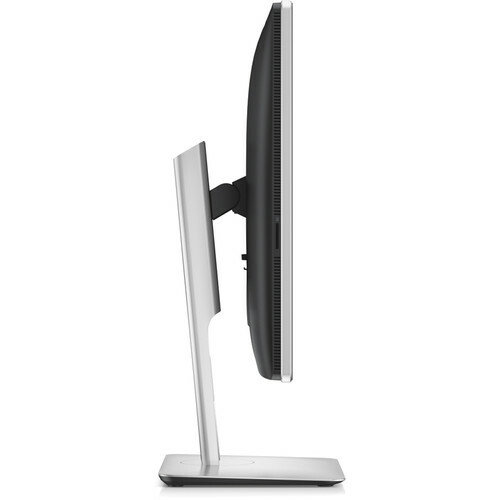 The included stand allows the monitor to be raised or lowered and tilted forward or back. To help display long word documents or web pages, this monitor pivots 90° for better utilizing the on-screen workspace that allows you to view more content vertically. The stand can be removed so you can use an optional VESA 100 kit to mount the monitor on the wall, or attach it to a VESA compatible swing arm. This monitor provides five USB 3.0 ports via the built-in USB hub and a media card reader for connecting with a wide range of other devices to optimize productivity. Moreover, one of the USB 3.0 ports supplies twice the power that charges BC 1.2 compatible USB devices. Included with the monitor are a media disc, power cable, USB 3.0, mini-DisplayPort to mini-DisplayPort, two mini-DisplayPort to DisplayPort, and two DisplayPort to DisplayPort cables. Discover 5K clarity on the Dell UltraSharp display, featuring over 14 million pixels and accurate colors. Vivid, Accurate, and Consistent Color: With PremierColor, this monitor provides color accuracy with 99% Adobe RGB and 100% sRGB coverage. Speakers by Harman Kardon: Two speakers rated at 16W deliver crystal-clear and detailed stereo sound. 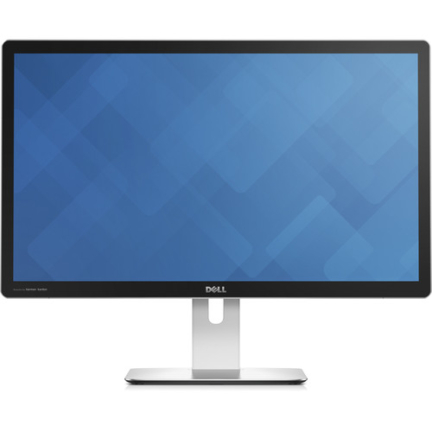 Consistent, Accurate Colors: Right out of the box, Dell PremierColor delivers factory-tuned 99% Adobe RGB and 100% sRGB coverage, grayscale tracking and a color calibration factory report certifying that colors are true-to-life and accurate with an extremely small deltaE of less than 2. Color Depth and Color Gamut: Enjoy a large range of colors and color detail with a wide color gamut. High-capacity 12-bit internal processing enables up to 1.07 billion colors, distinguishing low grayscale tones and enabling a level of detail, even in dark areas. This monitor combines the clarity of an edge-to-edge display with Harmon Kardon stereo speakers for an immersive audio and video experience. Improved Clarity and Easy Cleaning: Optical bonding and an anti-reflective coating eliminate reflection from two surfaces – the LCD panel itself and the protective glass layer in front of it – allowing more light to be transmitted and improving clarity, vividness, and contrast. An anti-smudge coating allows you to easily clean away fingerprints. High-fidelity Harman Kardon sound: Two down-firing speakers tuned by Harman Kardon and rated at 32W (2 x 16W) provide sound. Take in the fine, almost infinite, detail provided by the Dell UltraSharp 27 Ultra HD 5K Monitor – UP2715K in total comfort, thanks to its wide-ranging adjust-ability. The included stand enables tilt, swivel, and height adjustments, along with pivot capability. 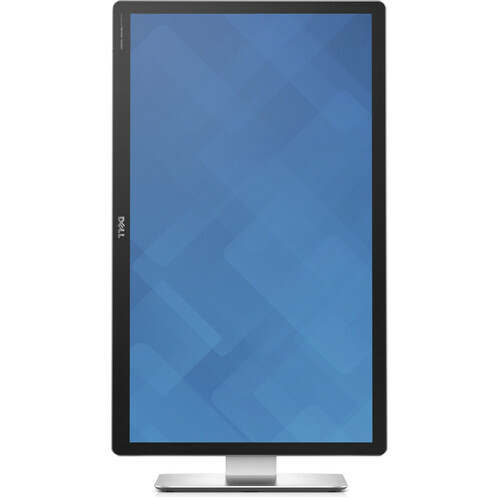 You can wall mount the UP2715K monitor panel in your choice of landscape or portrait orientation. Connect seamlessly with Mac and Windows PCs, along with a wide range of digital peripherals. One high-current USB 3.0 port found on the back of the monitor supplies twice the power for charging and powering BC1.2 compatible USB devices. You also get one upstream USB 3.0 port and five downstream USB 3.0 ports, two DisplayPort 1.2 cables (for 5K support), a mini-DisplayPort (for 4K support), and a media card reader.